Replacing missing or badly damaged teeth with dental implants can not only restore a beautiful smile – they can also rebuild a strong, healthy bite, improve facial structure, and boost self-confidence. To achieve proper placement of dental implants, multiphase treatment plans are sometimes required. Some patients require additional procedures to rebuild adequate jawbone and facial structure for proper support of the dental implants. To attain the highest-quality results, these complex procedures are typically best-handled by a prosthodontist with expertise in all stages of implant treatment. Our dentist and prosthodontist, Sameet Sheth, DDS, FACP, has extensive experience and advanced training in implant dentistry. He is also skilled in performing a wide range of bone grafting procedures that can restore diminished jawbone volume and structure. His proficiency in these restorative and reconstructive techniques allow him to create superior results with dental implants. The goal for every patient is to achieve optimal oral health and long-lasting, natural-looking dental implants that function beautifully. For more about dental implants, we encourage you to review the informational sections below and continue exploring our site. If you would like to schedule a consultation with Dr. Sheth, please contact our office. A single tooth dental implant is comprised of a titanium post that is surgically implanted into the jawbone (to mimic the function of a natural tooth root) and a crown. Over time, the post fuses with the bone tissue, which provides exceptional stability for the implant restoration. Once completely healed, a customized porcelain crown implant restoration is attached to the top of the post for a secure, functional, natural-looking tooth that is virtually indistinguishable from your other teeth. Dental implants can also be used to secure larger dental restorations in place, such as bridges and full-arch dentures. Dental implants offer a number of practical advantages over traditional dentures and fixed bridges. Because they are permanently anchored into your jaw, dental implants can look, feel, and function like natural teeth. Unlike ill-fitting dentures, which can slip and move along the gum line, dental implants are secure and stable. Dental implants are self-supporting, which means that the structure of your surrounding teeth does not have to be prepared as with a traditional fixed bridge. Or, if you have no remaining natural teeth, they can be used to stabilize custom dentures. In addition, dental implants are remarkably convenient, requiring a similar hygiene routine of brushing, flossing, professional hygiene, and regular dental examinations. In virtually every way, dental implants allow you to regain the control and assurance you had with your natural teeth. There are three main types of dental implant options: single tooth implants, multiple teeth dental implants, and implant dentures. During the consultation process, you will learn which type of dental implants are best suited for your needs. Single tooth implants are designed to replace an individual tooth. If you and your dentist choose single tooth implants to replace several teeth simultaneously, one titanium post and one dental crown will be used for each missing tooth. 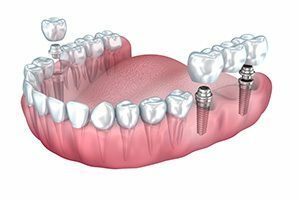 Each implant crown is custom-made to fit comfortably and function like a natural tooth. 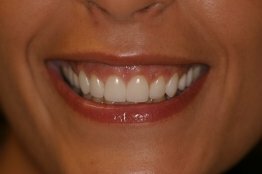 The color of the restoration is also customized to match your surrounding teeth for a beautiful, uniform appearance. For patients who are missing several adjacent teeth, two or more dental implants can be used to hold a custom implant bridge restoration firmly in place. Multiple teeth dental implants can serve as an alternative to a fixed bridge or partial denture. Depending upon the number of missing teeth and the jawbone density of the patient, Dr. Sheth may recommend two to six dental implants to ensure a comfortable, secure fit. An implant denture is used to replace an entire row of teeth. This fixed alternative for removable dentures can replace the upper and/or lower arch. When both arches are replaced, the procedure is sometimes referred to as a full-mouth restoration. Depending upon the patient’s jawbone density, two to six implants may be used to secure the custom denture. Implant dentures may also be a good alternative for patients who are not good candidates for a full set of single tooth implants. If you are interested in having dental implant surgery, you will first meet with Dr. Sheth, who will evaluate your oral and overall health to determine whether you are an appropriate candidate for therapy. Most patients with generally good health and adequate jawbone width and height are suitable for the procedure. If you require bone grafting to create a more stable foundation for dental implants, Dr. Sheth can perform those procedures. For those patients willing or able to devote the necessary time, dental implant surgery is currently one of the most effective and consistently successful of all dental procedures. Are Preliminary Treatments Required for Dental Implants? Dr. Sheth’s ultimate goal is to place dental implants that can be healthy and long-lasting. Prior to implant placement, Dr. Sheth may recommend preliminary treatments aimed at create a strong, healthy foundation for dental implants. This initial phase of treatment may include procedures to improve your dental health, extract teeth, and/or prepare your jawbone for implant surgery. Not all patients will require these treatments; however, having these options available in-house can be very beneficial and convenient. When teeth are extracted due to extensive decay, trauma, or other reasons, preserving the socket with bone grafting material can offer significant advantages. Socket preservation performed immediately following tooth extraction can prevent both the formation of a dry socket and minimize bone loss that occurs when a permanent tooth is removed. It allows the maximal amount of bone volume for proper placement of dental implants, and also allows the widest possible implant to be placed, which is important for the long-term stability of the restoration. Jawbone loss can be an unfortunate side effect of tooth loss and advanced gum disease. Atrophy of this supportive bone structure can undermine the health and position of surrounding teeth and progressively change the shape of the face. With a variety of bone grafting techniques, including sinus augmentation and ridge expansion, Dr. Sheth can skillfully rebuild depleted jawbone structure to restore facial proportions and provide healthy support for dental implants. Composed of a titanium alloy, dental implants are artificial tooth roots that are placed into your jaw. All surgeries and implant placements are typically performed right here in our office by Dr. Sameet Sheth. Using 3-dimensional CAT scans and guides, the surgery is digitally planned and customized for each patient. Based on this virtual surgical plan and the use of guides, the implants are placed within your jawbone and then allowed to heal and integrate with the bone. Proper osseointegration and soft tissue repair can take between two to six months (or sometimes longer) depending on your unique rate of healing. During this time, Dr. Sheth will provide you with a temporary prosthesis to minimize inconvenience and conceal your healing implants. When you are completely healed, he can attach custom crafted crowns, bridges, or dentures to the titanium roots to complete your new smile. What Results Can I Expect from Dental Implants? By offering dental implants to our patients, we are able to restore the function, appearance, and feel of missing teeth with outstanding results. Dr. Sheth’s level of skill and extensive experience with dental implants makes him a superior choice for performing your implant surgery and restoration. At every stage of treatment, he is attentive to your progress and concerns, and works tirelessly to provide the highest quality outcome. 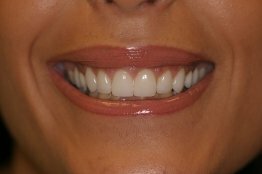 To view the type of results that can be achieved with dental implants, please visit our smile gallery. Once the titanium post becomes fused with the jawbone, the dental implant is considered a permanent part of the mouth. If the custom restoration that is attached to the dental implant becomes damaged or worn it can be repaired or replaced. it is important to note that the restorations we create from high-quality materials are designed to last for decades. Dr. Sheth recommends that patients who habitually grind or clench their teeth consider wearing a night guard while they sleep. This type of oral appliance is designed to protect the teeth—and any restorations—from potentially damaging bite forces. In addition, good oral hygiene and routine cleanings are also essential for maintaining dental implants. No additional daily maintenance is needed beyond brushing, flossing, and rinsing. Attending twice-yearly oral exams can give your dentist the opportunity to detect any problems with your implants and promptly correct them. Dental implants should last a lifetime with minimal maintenance. Dental implants are typically considered to be the gold standard for tooth replacement. Unfortunately, not all patients are ideal candidates for dental implants since sufficient jawbone density is necessary to support the titanium posts. For patients who desire the benefits of dental implants but are not good candidates for single tooth dental implants, we offer a range of other alternatives. Implant dentures can support a full arch of replacement teeth with four to six strategically placed titanium posts, and even patients with reduced jawbone density can be good candidates for this approach. The full arch restorations are locked onto the dental implants for excellent stability, reliability, and natural-looking results without the need for messy pastes or adhesives. Fixed dentures and implant supported bridges can also be good options for patients seeking a more secure version of a traditional removable denture, bridge, or partial. For many patients, implant dentures and bridges feel like having their natural teeth restored. In cases where dental implants of any kind are not recommended, bonded bridges and custom removable dentures and/or partials may still be the best option for replacing missing or badly damaged teeth. After a thorough oral exam and a discussion of your goals, Dr. Sheth can recommend which tooth replacement options are best suited for your needs. At Restorative and Implant Dentistry of Bayside, all implant procedures and restorations are highly customized to give our patients a full, healthy, and beautiful smile. Since every dental implant procedure is customized based upon the individual patient’s needs, there is no fixed price for dental implants. There are many variables that can impact the total cost of dental implants, including the number of missing teeth, any necessary preparatory procedures (i.e. tooth extractions, periodontal treatments, or bone grafts), the type of dental implants and restorations selected, and the number of implants that are needed to secure the restoration. After an oral exam and a discussion of your goals and expectations, Dr. Sheth can give you a quote for the cost of your customized procedure. The average price for a single tooth implant at our practice ranges from $5,000-7,000. Patients who would like to make the cost of their treatment more affordable may consider applying for dental financing through a third-party company we’ve partnered with. This lender can provide low monthly payment plans with little to no interest for qualified applicants. To learn more about financing the cost of your dental implants, please contact a knowledgeable member of our staff. If you would like to learn more about how we can improve your oral health and confidence through dental implants, please contact us today.